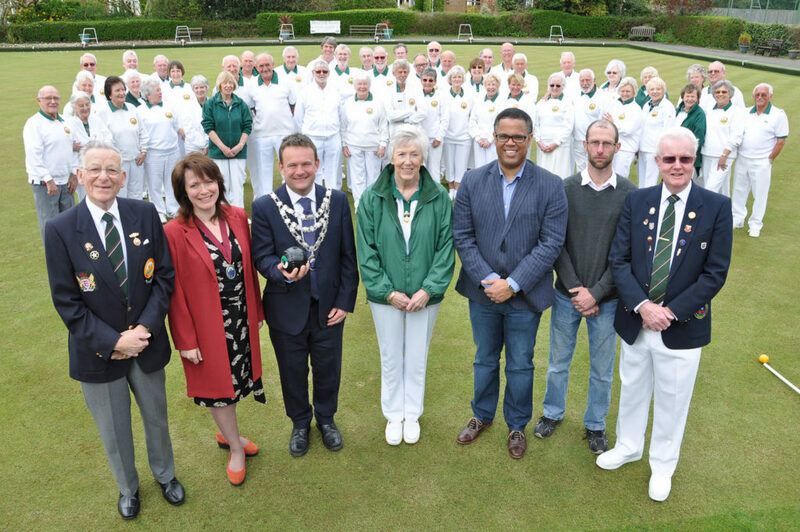 Douch & Small Funeral Directors are continuing their sponsorship of Wimborne Bowls Club – for the fourth consecutive year. (l-r) John Welch, senior vice president, Andy Hampton, town mayor, Amelia Hampton, Christine King, President, Nick Douch from sponsors Douch & Small, Glen Holswell, groundsman, Denis King. Managing Director Nick Douch was at the club’s start-of-season dinner along with town mayor Andy Hampton who bowled the first wood of the summer. The bowls club is now in its 101st year and Douch & Small have also been in the town for over 100 years. The club has three teams in the Bournemouth league and three in the Dorset league and has around 100 members. There is an open day on Sunday, May 11, from 2pm and everyone is welcome. alling weather over the winter. President Christine King said: “We are looking forward to a happy and good season and are grateful as ever to Douch & Small for sponsoring us. Nick Douch said: “With both Douch & Small and the bowls club having been in the town for over 100 years, the sponsorship is a perfect fit.